A deal is only good when there is an agreement between two parties. You already know that you cannot buy goods with long-term durability without a purchase agreement. And, as such, it is important that you have one. It is this agreement that will determine the relationship between you and the buyer. But how do you write the agreement without spending too much on the task? The best thing to do is to use a purchase agreement template. And, here is a list of the best Agreement Forms to use. Before you lease out equipment, make sure you have terms and conditions of service for the leasing process. If you don’t already have one, you can use this sample template to customize yours. This sample file is quite lengthy, and that is exactly how it should be. It is standard and professional in terms of structure and content, so it should help you set the right purchase rules for your business. 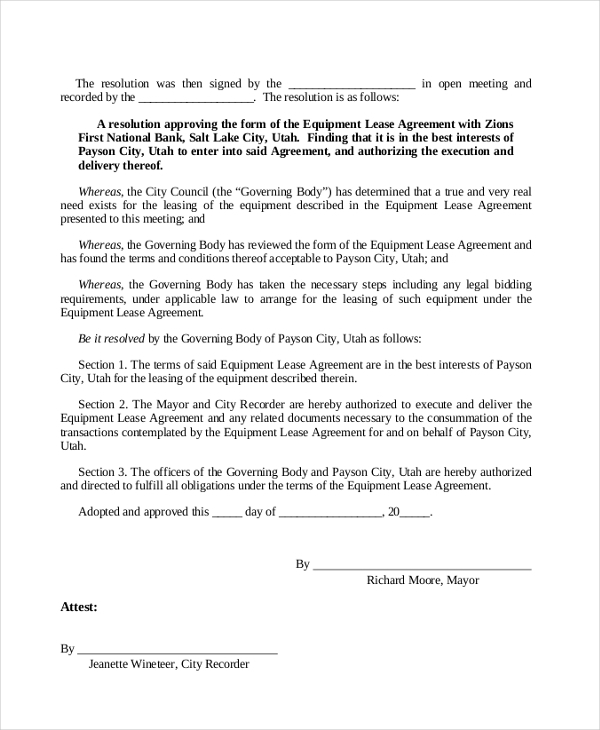 You may also see Lease Agreement Forms. Tenants who lease to buy can’t follow rules unless there are rules in the first place. If you are more interested in doing great business, you should consider having purchase terms. Here is a sample page to help you get an idea. Before you sell a real estate property, you want to be sure the buyer interested in willing to buy according to terms. 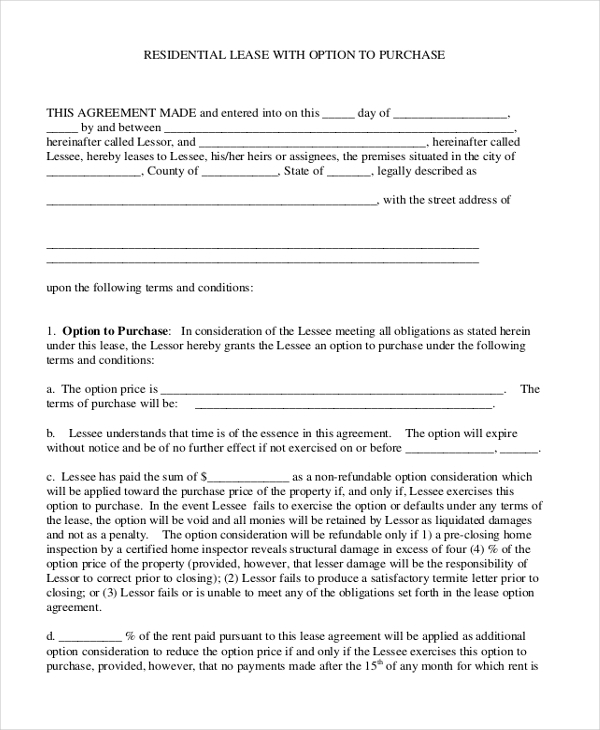 So, why not use this sample template to create an outline of the purchase agreement. You can also see Lease Agreement. Are you looking for a sample form that you can use as your vehicle purchase agreement? If yes, here is a sample file that you will definitely find useful. You can download and customize it for free. Do you want to sign a contract with a home lease agent? Here is a suitable sample form that you can use to outline your terms and conditions of service. The sample file is free to download and use. 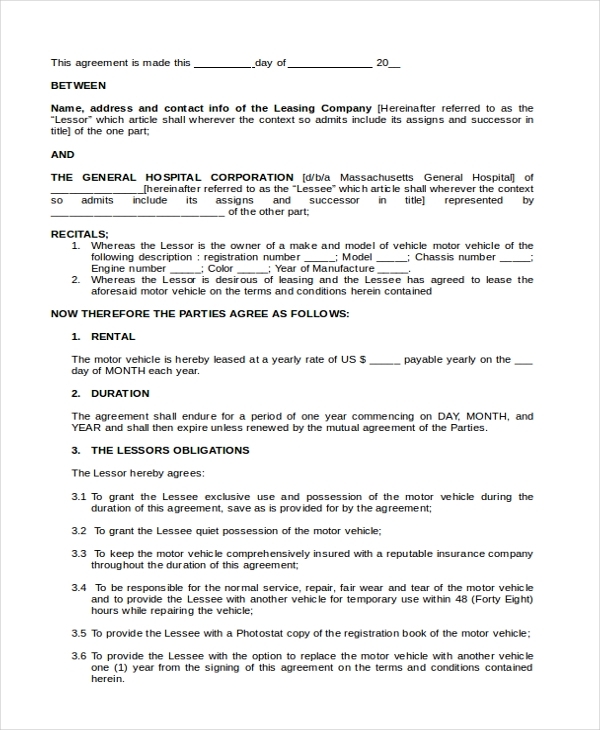 You may also see Simple Lease Agreement Forms. Why Should You Download Purchase Agreement Templates? Free to download: You do not have to pay anything to download these file. They are free to download. You just have to go through the list, find a template that’s suitable for you, and then use it as appropriate. Easy to fill out: Once you download the sample file, the next thing you have to do is to fill it out with the relevant information. Doing so should not take you long. They are easy to read: Some sample forms are somewhat lengthy, usually three pages or more. However, the language used is simple, so it should be easy for you to understand the content of the file. 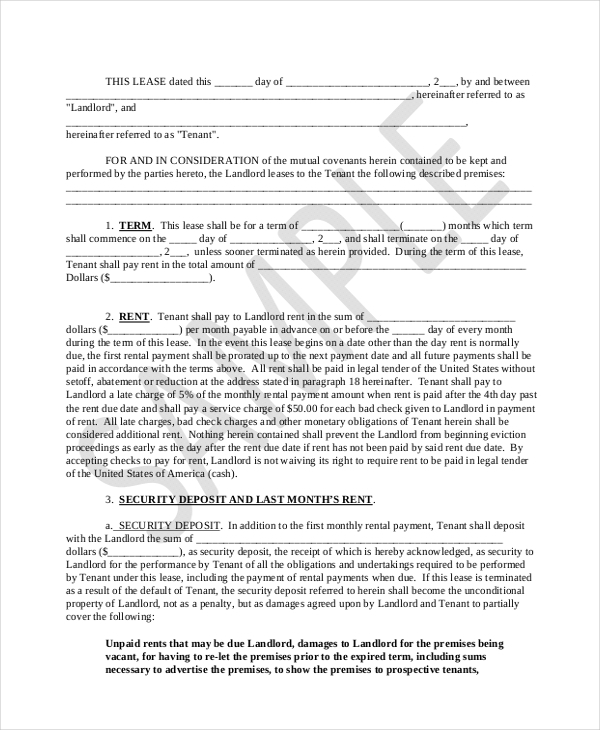 You may also see Sample Commercial Lease Agreement Forms. 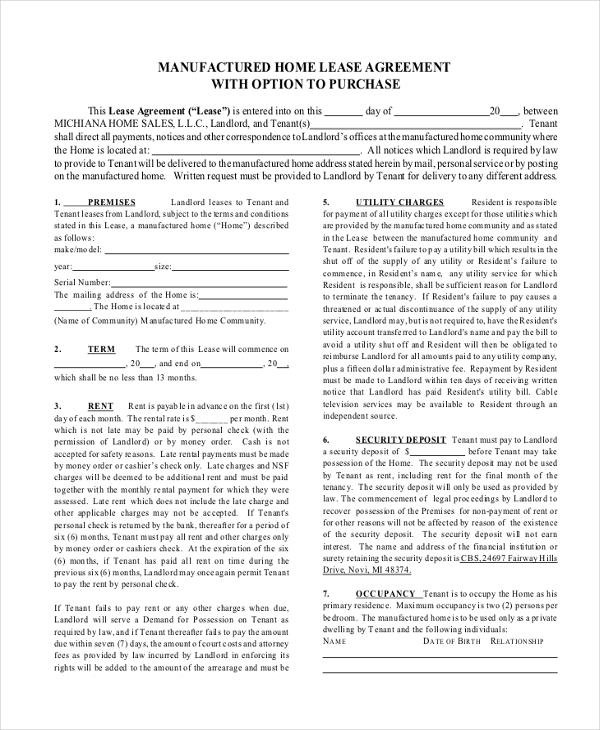 When to Use the Purchase Agreement Forms? When buying the property from a new dealer: If you are dealing with someone new to you, you have to consider using a purchase agreement. This sample file will act as the best evidence that here was a transaction that took place between you, the buyer, and another person, the seller, or vice versa. When buying from a known dealer: You still want to use this sample file if you are buying items form a known dealer. You want to be sure that either party is comfortable with the terms of purchase and sell before making a decision to do so. At the end of the day, these sample files are just meant to save you time. They make it easier for you to write your purchase agreement faster than you would if you were to do the same thing from scratch. So, why not download any of these files and use it to save yourself precious time? 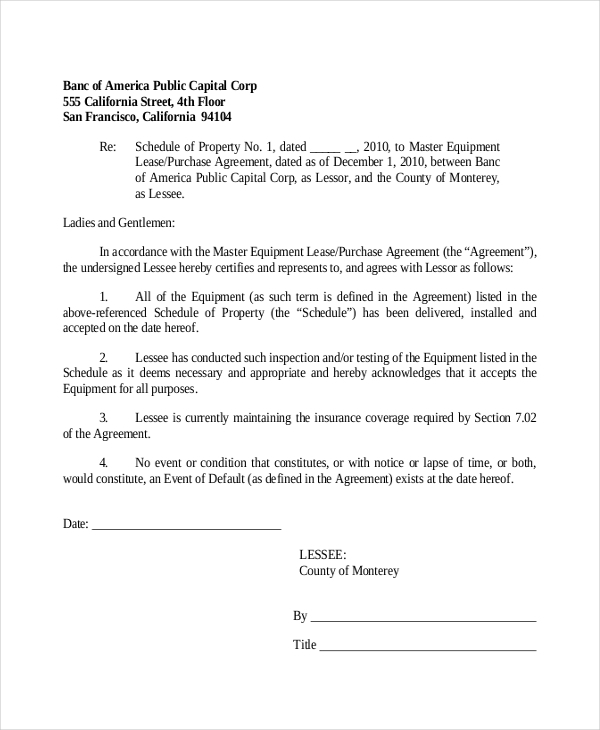 You can also see Sample Lease Agreement Forms.